Three of Bank Independent's Share drives benefit local families--especially local children. We collect non-perishable food through Food Share at the end of the school year when kids no longer have access to school meal programs. Toward the end of summer vacation, our School Share drive collects school supplies to help kids kick off a new academic year with everything they need to succeed. And Toy Share, now in its eighth year, collects toys with the goal of putting gifts under every local child's tree. So why is our fourth donation drive, the first Share effort of each year, dedicated to giving back to our local animal shelters? As much as we would all love to believe that the needs of our local shelters are met by city and/or county funding, they are not. Not by a longshot. More often than not, an animal shelter must rely upon donations and assistance from the public just to keep the doors open - or, more accurately, to keep the precious shelter animals fed, clean and healthy. Of course, the more animals the shelters save, the more they need. The ASPCA estimates that 6.5 million animals enter US animal shelters each year. Of those, approximately 1.5 million are euthanized. Our local shelters strive to maintain no-kill or low-kill status, which means they do everything possible to keep animals alive until a forever home is found. Our team didn't understand the deep funding deficit until our Helping Hands volunteers returned to work after a day at the shelter and shared this need. In between cleaning cages and walking, bathing and cuddling animals, they learned from the shelter staff the vital importance of community donations. We tried to do our part to share this information whenever possible, including these blog posts in 2016 and 2017. Donated pet food and supplies seem to be the most crucial need at most local shelters. That's especially true at this time of year, when folks who were gifted sweet little puppies and kittens at Christmas realize that being a pet owner is actually a little more work than they expected and decide they no longer want to be a pet parent. If you can't make it to your nearest shelter to drop off your donations, just drop them by any Bank Independent sales office during the month of February. If you can't donate items, you can donate your time. Most shelters welcome volunteers; in fact, some shelters depend upon them. Visit or call your local shelter or check their website for volunteer applications, guidelines and orientation sessions. 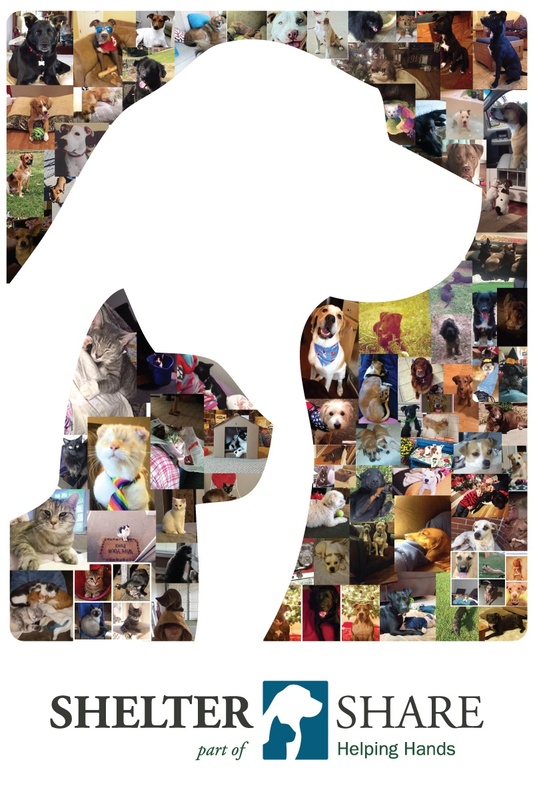 The Florence Lauderdale Animal Shelter's webpage offers a comprehensive list of volunteer opportunities; look for similar lists on other shelter websites or Facebook pages. Dog walking - Grab a leash, check out a dog, and get to walking! The pups will love the exercise and interaction, plus you'll log a ton of steps on your fitness tracker. Cat cuddling - Cats (and dogs) love to be hugged and petted! Volunteers can come by to spend quality time cuddling, brushing, petting or reading to shelter animals. Bathing and grooming - Shelters are equipped with pet washing facilities that make this exercise easy and fun. Cleaning - Pets aren't super particular about their surroundings, but our shelters are. 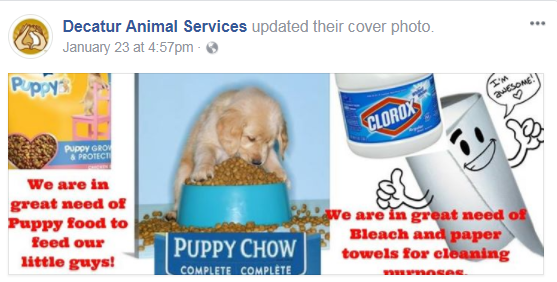 Cages, pens, bowls, linens, outdoor areas, and all other surfaces are constantly and thoroughly cleaned to keep pets (and visitors) healthy and happy. Fundraising and promotion - Share shelter events on your Facebook or other social media pages, start funding pages, or seek out businesses that might be willing to donate or host events. Fostering - Often shelters need temporary housing for pets that are awaiting adoption or transport, recovering from an injury or illness, or nursing newborns. Your home could be a welcome short-term respite from a chaotic or overcrowded shelter. Transporting - Did you know that in some areas volunteer organizations seek out adoptable pets from other states due to a shortage of available animals? 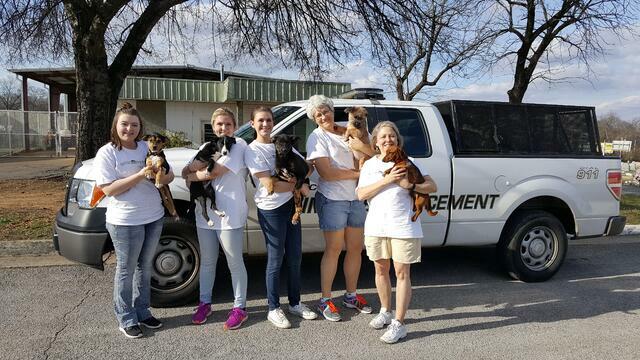 Groups of like volunteers in our area collaborate with these folks to arrange transportation by car, truck, van or even plane to get shelter pets to a new forever home. The list of opportunities is varied and long, and our shelters are always willing to help you find a place for you to plug in. No long-term commitment is necessary; they'll usually take what you can offer, when you can offer it. Bank Independent's Helping Hands volunteers work at local shelters in groups of two to ten at a time, for up to eight hours a day, and many can't wait for the next volunteer opportunity to be posted. Volunteers are just as vital and appreciated as donations. Our shelters wouldn't need nearly as much assistance if all pet owners understood the impact of not spaying or neutering their animals. According to the Decatur Animal Services site, one unaltered female dog and her offspring can result in 67,000 puppies over six years, while one unaltered female cat can add 420,000 kittens to the pet population over seven years. These are jaw-dropping, unmanageable, and unacceptable numbers. Please be a responsible pet owner! Help control pet overpopulation, and have your pet spayed or neutered. Lastly, if you're thinking of adding a pet to your family, think first of shelter pets. They come in all shapes, sizes, breeds, colors, temperaments, and ages, and there's one out there who would be perfect for you if you'd just give him or her the chance.